On Monday September 28, 2009 residents from the ROCORI area filled the high school gym to watch the variety show and coronation. The MC’s for the event were Adam Braegelman and Sam Kammermier. This years underclassmen royalty girls are freshman Theresa Wenner, sophomore Chelsey Engelmeyer, and junior Kelsi Vos. The underclassmen royalty for the boys are freshman Joe Heinen, sophomore Chad Tomsche, and junior Jordan Hennen. All of the young men and women looked amazing so you’ll definitely want to check out this story as all of our homecoming candidates were represented. Also be sure to brave the weather and get on out to the game against Alexandria tonight at 7 p.m.
2009 Homecoming King & Queen Robert Reichel and Jordan Hansen proudly sit and wear their new crowns. You can see them tonight at halftime on the football field or if you can't make it, DigElog ROCORI will be covering the event LIVE! 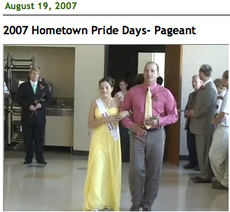 In this story you will see a video presentation of the 2009 River Lake Days Pageant participants. All of the children in this story were kindergarten graduates of Richmond Elementary or St. Peter and Paul School. DigElog ROCORI would like to recognize Carole Euerle and Jennifer Keul for their efforts organizing the pageant. Lastly, DigElog ROCORI would also like to recognize Mrs. Dietman as well as the judges: Diane Heying, Karen Heying, Patty Plantenberg, Joan Willenbring, and Marilyn Zenner for their help and support of the 2009 River Lake Days Pageant. On Friday July 10, 2009 a new group of Royalty was crowned at John Clark Elementary. Saying their goodbyes as the 2008 Royalty were Miss Rockville Marie Stenseth, Princess Noa Kunstleben, and Junior Princes Ava Honer. In this story you will see the crowning of a new group of Royalty. The 2009 Rockville Junior Princess is Britany Schlangen. 1st and 2nd Princess went to Megan Schlangen and Sophia Feldhege, with Megan Dirsken receiving the Rockville Princess Crown. Lastly, Briana Schlangen received the title as 2009 Miss Rockville. Congratulations to all of the participants and enjoy your year as Rockville’s Royalty. 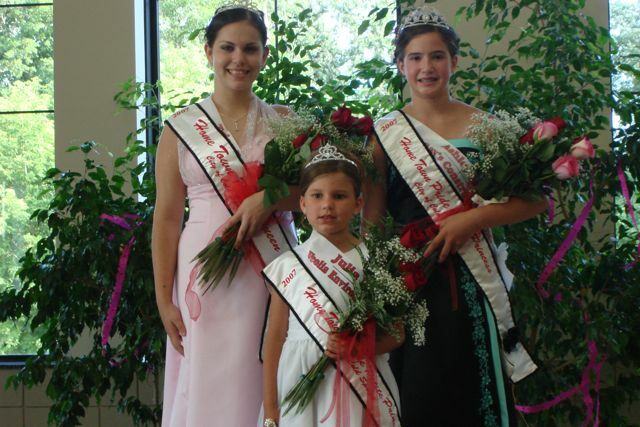 On July 25th, the second annual Hometown Pride Days Royalty Pageant took place at the St. Boniface Parish Center. In this story, you’ll hear from pageant coordinator Michelle Nyberg as she discusses some of the “behind the scenes’ efforts that it takes to put on the pageant. She also speaks about the wonderful sponsors, parents, and children that reside in Cold Spring, and how their community volunteerism goes far beyond this pageant. Their efforts truly give us a reason to celebrate hometown pride. 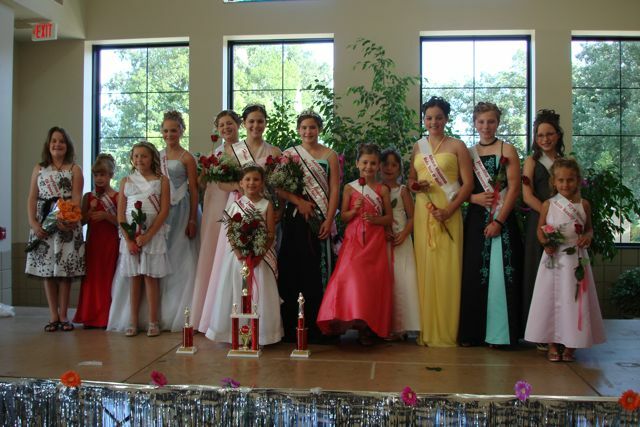 In this story you'll meet all the contestants in this year's 2008 Richmond River Lake Days Junior Royalty Pageant held at the Civic Center in Richmond. Organizers Carole Euerle and Jennifer Keul give us an inside glimpse of what makes this annual event such a success for the girls and boys who participate. There were 15 participants in the pageant this year and the winners included Ethan Thompson chosen as King and Jaden Philippi was selected as Queen. As part of Cold Spring’s annual celebration for Hometown Pride Days, the community holds a Hometown Pride Days Royalty Pageant. The story above captures the 2007 event and below you'll find more information about the 2008 candidates. MacKenzie Hromatka is 7 years old and is the daughter of Joe and Lisa Hromatka. She enjoys reading, Girl Scouts, figure skating, four-wheeling, playing with “webkinz”, arts & crafts, playing with her brothers, and being with friends. Her favorite thing to eat is carrots and dip. She would like to become a Veterinarian when she grows up because she loves animals. Her sponsor is Joe Hromatka, Dad and Company Construction, LLC. 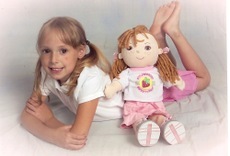 Kendra Kalthoff is 7 _ years old and is the daughter of Lori Ann Kalthoff and Tony Waldron. She enjoys swimming, reading, bowling, fishing, biking to parks, playing with “Petshops”, going to the movies, and having a friend over. Her favorite food is apples. She wants to become a teacher when she grows up. She is sponsored by Ralph Hansen of Hansen’s Tree Service. Magdalen ( Maggie) Linz is 6 years old and is the daughter of Paul and Kara Linz. 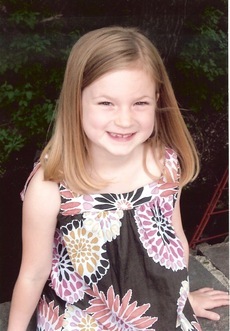 Maggie enjoys Tae Kwon Do, Tee ball, reading, coloring, playing WII, and playing with friends, especially outdoors. Her favorite thing to eat is strawberries and she wants to be an artist, a Mom, and a CSI agent when she grows up. Her sponsor is Micah & Melissa Waalen, owners of Snap Fitness, Cold Spring. Kinsey Morford is 7 years old and is the daughter of Kim and Jamie Morford. She enjoys Math, swimming, watching TV, playing outside, making things that were never made before, drawing, and playing with her sister. Her favorite things to eat are: ice cream, pizza, and Chinese food. She would like to become an artist when she grows up. She is sponsored by Dr. Mary Jo Femrite, Lakes Eye Clinic. Estella Mueller is 9 years old and is the daughter of Glenn and Jackie. She enjoys being creative through art, Tae Kwon Do, Cheerleading, reading, playing with friends, and watching movies. Her favorite thing to eat is steak. She would like to become a firefighter when she grows up so she can save lives. Her sponsor is Drs. Milbert and Bicknell. Ariana Giller-Schurman is 9 years old and is the daughter of Tracy and Brian Schurman. She enjoys History, Girl Scouts, swimming, theatre, biking, playing outside with her brothers, and making stuff with paper. Her favorite thing to eat is chips with cheese. She is sponsored by Cold Spring Bakery. Autumn Schmitz is 9 years old and is the daughter of Wendy & Tim Duel. She enjoys art, Just for Kix dance, baseball, Missionettes, reading, cooking, watching TV, crafts, puzzles, and fishing. Her favorite thing to eat is chicken nuggets. She wants to become a Veterinarian, a Chef, or an artist when she grows up. She is sponsored by Brad Matuska, Mississippi Topsoils. Laura Werner is 12 years old and is the daughter of Leslie Clement. She enjoys math, doing crafts, playing the violin, drawing, collecting coins and other items, watching TV, and bird watching. Her favorite foods are pasta, beef, and pickles with sugar on top. When she grows up she would like to get a B.S. degree and work with wolves or at a zoo, and write in her spare time. She is sponsored by Cold Spring SuperValu. Victoria Konop is 16 years old and is the daughter of Steve and Julia Konop. She enjoys history and learning about her family’s past, art, being on the computer, volleyball, going to the movies, scrapbooking, spend time with family and friends, and she loves to help and play with kids. She loves food, but if she has to pick a favorite it’s pizza and French fries. When she grows up she wants be an Art teacher, get married, and give her children a great life, just like her parents have given her. Her sponsor is Red River Inn/My Dinner Connection. Amanda Weber is 15 years old and is the daughter of Greg and Linda Weber. She enjoys Art - drawing, Track & Field, Dance, traveling, going to the movies, hanging out with friends, camping, modeling, acting, and spending time with her cousins and family. Her favorite things to eat are spaghetti and ice cream. When she grows up she wants to have successful career in the fashion industry, get married, and raise a family. She is sponsored by Styles Plus Salon & Spa. WANTED... Girls, Girls, Girls !!! Yes, it’s time again! We are excited for you to come join the fun and register to participate in the 2nd annual Cold Spring HomeTown Pride Royalty Pageant. This pageant process is a wonderful opportunity for personal growth, to make new friends, and to participate in community service projects and activities. If you haven’t received a flyer at school, stop by City Hall and pick up your registration form today. Registration forms are due back to City Hall on Friday, May 30th, 2008 by 4:30 pm. Girls from ages 5-8 can register to participate in the Petite Princess category, girls from ages 9-13 can register to participate in the Jr. Teen category, and girls from ages 14-18 can register to participate in the Queen category. All girls must have a Cold Spring residence. The actual Pageant and Coronation will be held Friday, July 25th at 6:00 pm at St. Boniface Parish Center – Community Center during HomeTown Pride Days. 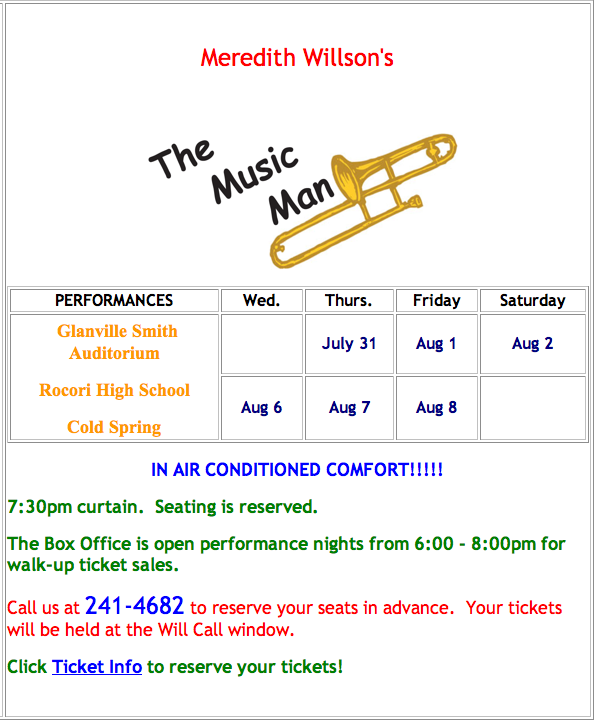 For further information, please contact Pageant Coordinator: Michelle Nyberg at (320) 493-7335. As part of Cold Spring’s celebration for Hometown Pride Days, the community held their first annual Hometown Pride Days Royalty Pageant, and it was an astonishing success. The young ladies looked fabulous, and this story gives an inside look at some of the behind the scenes efforts it takes to produce an event like this. This story also features an interview with pageant coordinator Michelle Nyberg as well as footage from the event. This story was sponsored by Supervalu your local full service grocery store in Cold Spring. Along with fresh produce, the finest meats, and great product selection Supervalu is committed to servicing our customers better than anyone else can serve them. In addition we see ourselves as partners in the community, and we are committed to provide time and resources to help keep our community strong and vibrant as a partner, neighbor, and friend. At Supervalu we blend together price, service, and selection to best meet the needs of the people we serve. As we look back on the Richmond River Lake Days festivities, we mustn’t forget about the wonderful efforts that were made to facilitate the Junior Royalty Pageant. In this story, DigElog takes an exclusive look at the River Lake Days Junior Royalty Pageant as we interviewed one of the pageant coordinators.